4 Tips On Cre ating a Buzz about Your Book Before Publication. While I had a publisher for my first book, the marketing of it fell squarely on my shoulders. Most of all, I didn’t realize how critical marketing is prior to the publication of a book. Yes, my website and social media were up and running a couple of months prior. But, there are other things you can do to help create some noise about you and your book in the preceding weeks. Here are 4 ways to expand your book marketing activities prior to publication. 1. Whether your book is print, digital or both, invest in a professional book cover designer. The cover is the first thing people see when they look at your book. The highest number of views and likes that I receive on my Facebook pages are for simple pictures with few words. So, your book cover needs to be eye catching. This is particularly important if you are planning on submitting your book or Galley (advanced copy) to the media for review. Make sure your website is up to scratch and have professional head shots taken; using a nice photograph taken on vacation doesn’t cut it if you want to be taken seriously. 2. If it is in your budget, have your book reviewed before publication by Kirkus Reviews or other similar industry magazine. Their reach is broad and respected within the publishing industry. Allowing sufficient time before publication will enable you to print a quote from the review on the back cover of your book. 3. Research on-line reviewers of your book’s genre and find out if they accept guest posts. Several of them probably do and it’s an excellent way to get your name out there. 4. As soon as the Galley of your book is available, send it out to potential mainstream media outlets for review. Most will not review a book once it has been published. Do you have some other views or ideas on marketing a book prior to publication? Feel free to share your comments. Marketing Your Book: Is Social Media Consuming Your Time? I will never forget the th rill of signing the contract to have my book, A Stone for Benjamin published. Told I would have to do most of my own book promotion, I believed it would be a simple task. But in reality, I didn’t have a clue how to market a book. Yes, my publisher sent me some suggestions and ran on line tutorials on social media, but there were not enough hours in the day to update and post to all my accounts apart from writing a blog. And what about my next book…well that’s another story. 2. Work on all updates including your blog during the morning. 3. Reward yourself with lunch and a walk! 4. 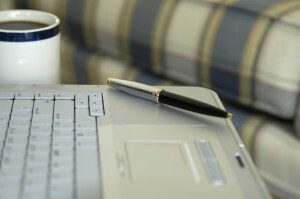 The afternoon is yours to do what you enjoy most…writing your next book. Have I begun working on my next book? Yes, I have, and it’s a relief to know that I don’t have to think about my social media updates at least until tomorrow. 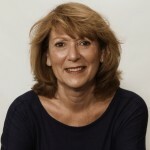 “Kroll comes from a close-knit Jewish family in postwar London, and in her debut memoir, she traces her ancestors’ migration from Eastern to Western Europe before World War II. Would you like a free copy of A Stone for Benjamin? 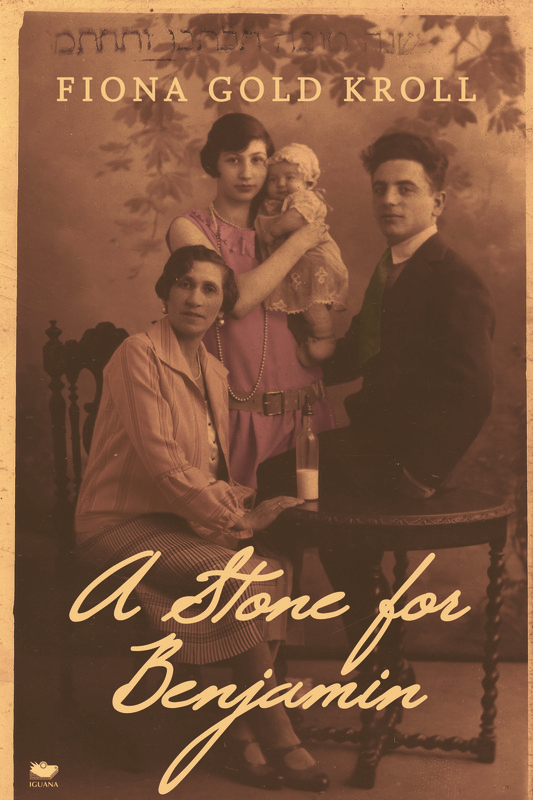 Would you like a free copy of A Stone for Benjamin? 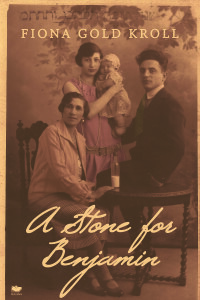 Goodreads are giving away five copies of “A Stone for Benjamin” on December 18. This is your chance to receive a free copy of the book, so make sure you sign-up today! A Stone for Benjamin took almost nine years not nine months to arrive. The book became both a labour of love and anguish to write, but it gave me enormous pride when I touched and looked at the cover for the first time. 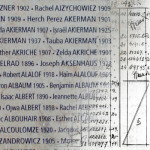 Finally, Benjamin Albaum would be recognized not as a number assigned in Auschwitz, but as a living person with a name, an identity and history. Purchasers began downloading and ordering the book on Monday and by the following Saturday A Stone for Benjamin was number #14 in the top 100 Holocaust books on Amazon.ca. But, my goal is for the book to be read in libraries and schools across English speaking countries and beyond, because education is essential if we are to ensure that apathy does not tarnish Holocaust stories in future generations. A Stone for Benjamin is more than just another Holocaust book. It is a story about blemished French history during WWII along with the pleasure and sometimes heartbreak of genealogy research. Currently, filming of a book trailer along with a short movie of A Stone for Benjamin has been completed by Creative Rebellion in LA. The book trailer will be ready for viewing on YouTube during the next few days and the movie will be prepared to submit to film festivals in the U.S. and Canada over the next twelve months. Are there Intimate Letters you Wish you had Written? N ow that A Stone for Benjamin has gone off to the printers I have time to reflect on different parts of the book. I never knew Benjamin or his family but I frequently think about the relationships that I could have had with my great-uncle, his wife and his three children. I spent the first eighteen years of my life living in England and after I turned five, my family vacationed in Europe each summer. We drove everywhere and I have no doubt that my father would have taken us to Paris, where I would have met and played with my older cousins Sara, Freda and Roland. I imagine that we would have taught each other to speak a little French and English. 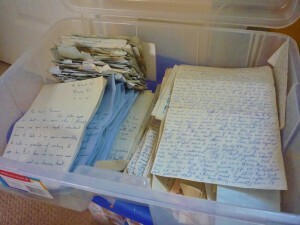 We would have written to each other; pen pals were common and encouraged when I was a child. And the families would have joined together in celebrating Bar Mitzvah’s and Weddings in London and Paris. Most of all I think about the unwritten letters. I have always found it easier to write my intimate thoughts rather than speak them. I think about those letters, realizing that I have a need to write to Benjamin and his family. Here is a letter to my cousin Freda. It was wonderful to see you again, and I wish that our visits were more frequent. It was fun learning to put on make-up with you. I made sure that I washed it off before my mother saw me wearing lipstick! I wish I were older like you. I’m so excited to be a bridesmaid at your wedding next spring and I can’t wait to receive the material for my dress! My father will have it made by one of the seamstresses in his factory. My mother said that most of the family from London and Glasgow will be there. 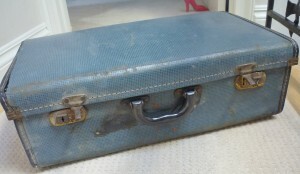 I hope that my grandfather is well enough to travel. After our visit with you, we left Paris early the following morning and drove south towards the Riviera. All of the food that your mother packed for us was delicious and I think we ate it all by lunch time. We had a good vacation, and my mother relaxed the whole time. My father was lots of fun. Maybe someday, we can all go on a vacation together. I have to go, my mother is calling me for dinner. Write soon! I’ve received several emails this week asking me when my book A Stone for Benjamin will be published. “It’s close, possibly during the next two weeks,” I tell them. Then, they ask me what my book is about. When I give them a brief summary, most people are shocked to learn that the Vichy government of France collaborated with the Nazis during World War 2 in the arrest, detention and deportation of 76,000 Jewish men, women and children. Then they ask me how many people survived; often silence is followed by incredulous disbelief when I tell them there were 2,500 survivors who returned to France. While historians have written many books about France during World War 2, I have come to realize that very little is known outside of France about this terrible part of the Holocaust. It was kept quiet for many years after the war ended in 1945, swept under the carpet so to speak until 1995 when Jacque Chirac made a public statement acknowledging the French Vichy government’s complicity. When I decided to write a book about my own journey, searching for my missing French great-uncle, I also had to make an important decision.Should the story be a non-fiction memoir or a novel based on fact? But, I suspected I would diminish the facts if I wrote it as a novel.It’s curious as to why I would feel that way, considering I enjoyed reading “Everything is Illuminated” and “Sarah’s Key.” However, while both of these books contain some historical facts, the characters and story lines are fictional. Some would argue that if novels on the subject of the Holocaust receive wider readership, then they not only entertain but also educate and should therefore be published. But, I believe there are still thousands of true Holocaust stories still waiting to be uncovered and written, and those are the stories and books that should be published before the novels. That was my goal when I wrote A Stone for Benjamin, and ultimately that’s what I did.